use a WMS Porta- Loo! 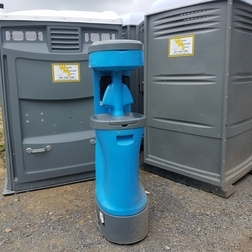 Whether your looking for portable toilets for a construction site, family reunion, special event or wedding - we have portable toilets to fit your needs, and they are stocked with Hand Sanitizer. Don't forget to add on a Hand-washing Station. 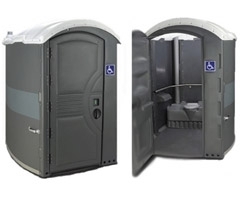 The basic portable restroom provides customers with a toilet and urinal. Looking for an roomy upsale restroom? 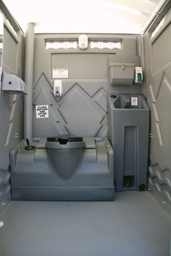 Our new Flush Tank portable toilets include all the comforts of home. The ADA Restroom meets American Disability Association guidelines, providing a toilet with no-ramp access for easy wheelchair entry and exit. An over-sized bench and grab rails for wheelchair transfer are also located inside this unit.